CLIENT: Charlottetown Harbour Authority Inc.
Charlottetown Harbour Authority Inc. hired HEC to carry out a condition assessment of an existing marine terminal structure as Phase 1 of the project. 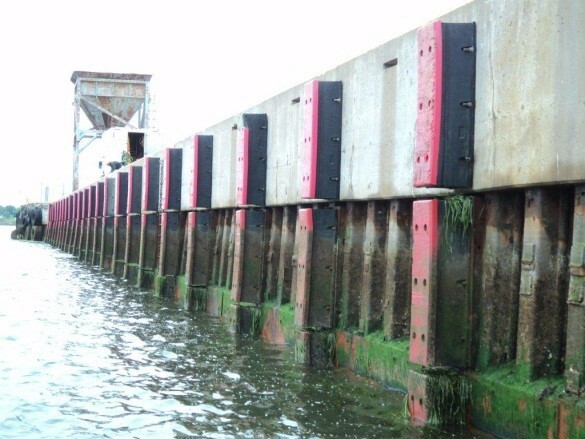 The condition assessment included a thorough visual review of the facility, thickness measurements of the existing steel sheet pile retaining structure and an analysis of the capacity of the steel sheet pile wharf in its current condition. HEC then submitted a report outlining the current condition and our recommendations for repairs and upgrades along with an estimate of the associated construction costs. During the condition assessment HEC identified a number of areas of the structure that required remedial action. HEC then carried out the detailed design of these repairs and upgrades. 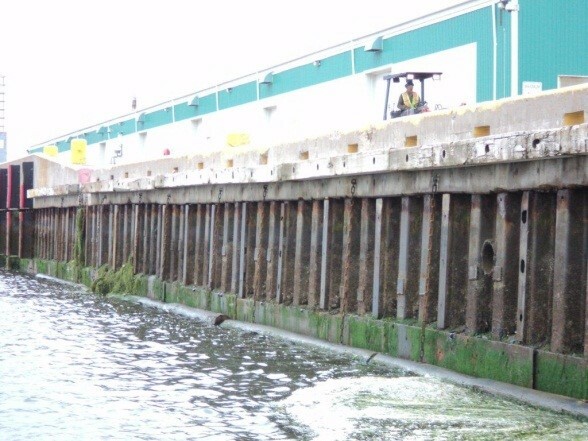 Major repairs to the structure included construction of a new concrete copewall to extend overall service life, repositioning of rubber fenders to provide better protection during vessel berthing, replacement of damaged fenders and various local repairs to the steel sheet piling, mooring bollards, ladders and other miscellaneous areas. During the construction phase it was discovered that several distributor bolts had at some time been sheared off and hidden by previous repair work. These bolts are an integral component in the tie-back system of the structure and needed to be replaced to reinstate the full capacity of the wall. HEC acted quickly to design a repair detail after discovering the damaged bolts. The repair detail was fast tracked as the contractor would be covering these bolts with an upcoming concrete copewall pour. HEC also carried the project through the construction phase, acting as the client’s on site representative for the duration of the project. Tasks for this work included daily on site inspections, progress claim approvals, resolution of construction issues and general contract administration. As with any rehabilitation project, there are always unknowns or unexpected issues that need to be dealt with quickly and cost effectively. 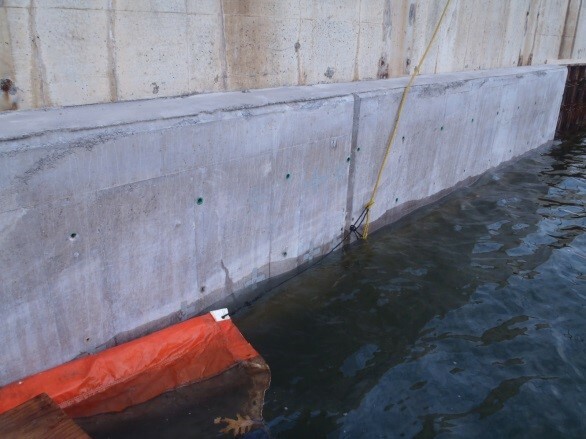 HEC developed effective and efficient solutions to on site issues throughout the duration of this project and, in doing so, provided excellent value to the Charlottetown Harbour Authority.